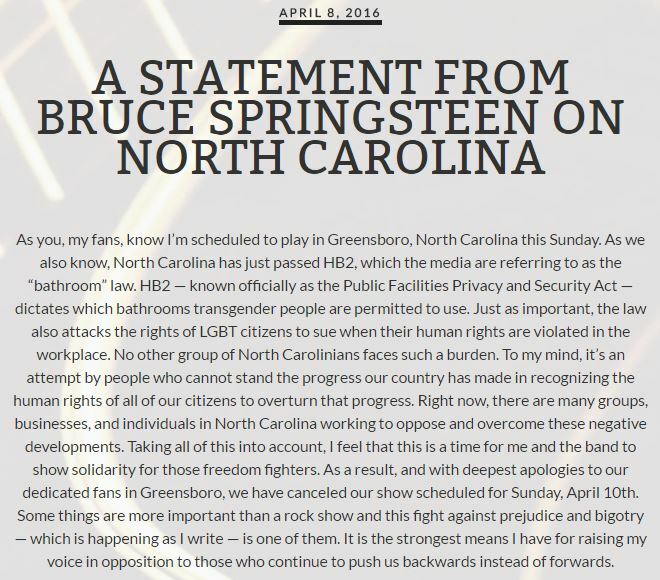 Bruce Springsteen has cancelled Sunday’s gig in North Carolina, in protest at the new legislation in the state that he argues discriminates against gay and transgender people. 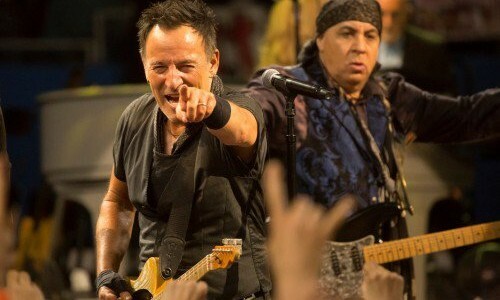 The sell-out gig in Greensboro was to have been the next date on his The River tour, which features many of his biggest hits, including Born to Run. The artist’s announcement came a week after North Carolina rushed through a Bill, under which everyone in the state has to use public toilets intended for people of the gender on their birth certificates and it allows employers to overturns local legislation that banned employers from discriminating against certain staff. More than 15,000 fans, who had spent between $68 and $150 for their ticket at the Greensboro Coliseum, will receive a refund. The venue itself says it stands to lose about $100,000 from the cancellation, from lost parking and food costs, among other things. The head of the Republican Party in North Carolina, Dallas Woodhouse, argued that the General Assembly had simply maintained the status quo, after Charlotte City Council introduced legislation that would allow male-to-female transgender people to use women’s toilets. “For years young girls have safely used the restrooms at ACC Tournament games and other events at the Greensboro Coliseum separated from grown men. The legislature and governor simply secured the long-standing common policy of safety and security and privacy,” he insisted.